Discovery 3 / Range Rover Sport 2.7 Tdv6 Engine Good Used Working ConditionRemoved from an 2008.. 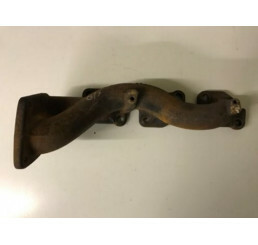 Discovery 3 / Range Rover Sport 2.7 Td V6 Manifold Near Side 04-09Good used condition,Removed .. Discovery 3 / Range Rover Sport 2.7 Td V6 Manifol.. 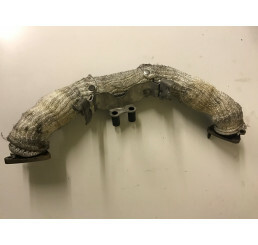 Discovery 3 / Range Rover Sport 2.7 Td V6 Fan Belt TensionerGood used condition, Complete as sh.. Discovery 3 / Range Rover Sport 2.7 Td V6 Fan Belt.. Discovery 3 / Range Rover Sport 2.7 Td V6 TurboGood used working condition,30 days parts warranty,Wi.. Discovery 3 / Range Rover Sport 2.7 Tdv6 Fuel Heater JEC500820Good used working condition30 day part.. Discovery 3 / Range Rover Sport 2.7 Tdv6 Fuel Heat.. Discovery 3 / Range Rover Sport 2.7 TdV6 Injector x1 7H2Q-9K546-CBGood used working conditionWill fi.. Discovery 3 / Range Rover Sport 2.7 TdV6 Injector .. Discovery 3 / Range Rover Sport 2.7 Tdv6 Radiator Cover PGK500220Good used conditionNo cracks or dam.. Discovery 3 / Range Rover Sport 2.7 Tdv6 Radiator .. Discovery 3 / Range Rover Sport 2.7 TdV6 SumpGood used condition,No damage to sump drain plug.. Discovery 3 / Range Rover Sport TdV6 2.7 Rear Exhaust Cross Over Pipe 1357035Good used condition,Pip.. Discovery 3 / Range Rover Sport TdV6 2.7 Rear Exha.. Discovery 3 / Range Rover Sport Tdv6 Fuel Pump 7H2Q-9B395-CEGood used working conditionPlease .. Discovery 3 / Range Rover Sport Tdv6 Fuel Pump 7H2.. Discovery 3 2.7 Engine Cooling Radiator PCC500112Good used working conditionRemoved from Discovery 3.. Discovery 3/Range Rover Sport 2.7 Tdv6 Engine Cover LBH000182Good used working conditionNo cracksNo .. Discovery 3/Range Rover Sport 2.7 Tdv6 Engine Cove.. 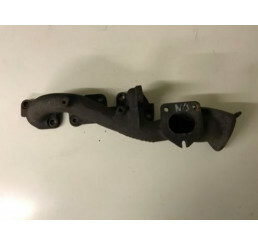 Range Rover Sport/Discovery 3 4.2/4.4 V8 Alternator Bracket YLU500171RF4H23-10039-DAGood used condit.. Range Rover Sport/Discovery 3 4.2/4.4 V8 Alternato..